If you're one of the many who do not have a budget but thinks he needs one, this post is for you. You're probably here because you've been searching for a solution to a money problem. But before I share to you my method on budgeting, I'd like to clear out something first. Many people thought and are still equating budgeting with how to limit spending. In a small way it is but there's so much more to it than a stop gap. There's a reason why every government has a budget process. This reason should apply to every family. It's about being responsible for the resources we have at our disposal. Because no matter how much our money is right now, it's not going to be so huge that it's limitless. Our money is limited. Our resources are limited. Budgeting is the process of understanding and managing the flow of our money in order to maximize its value to us. 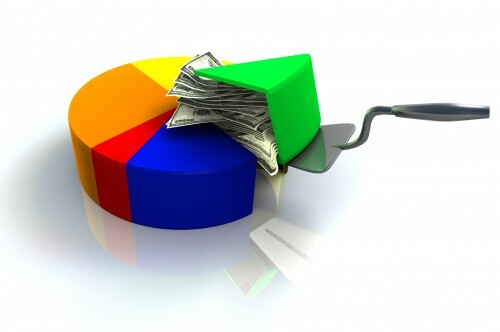 There can be a number of ways to create a budget and you should not be limited with any specific method. I'm not going to promote any particular tool but let me just mention that some people use spreadsheets, others prefer budgeting software or a smartphone app, while just keeping a notebook and a pen is enough for those that are not tech savvy. Whatever tool you use, I think the more important thing to realize is why you are doing it and how it would help you be more responsible in handling your money. My first experience doing a budget happened two years ago. I saw no particular need for it previous to that since I did not ever spend more than I earn. But when I started to have kids and have a family, there came with it not a few expenditures here and there. With these various needs and wants that would surely cost me money, I began to worry that maybe my earnings would not be able to cover all the expenses that I would incur. Considering this problem, I thought I could deal with it in either of two ways. I could try to increase my income by getting myself a better-paying job. Or I could try to manage my current resources and make sure it is spent wisely. The first option would have been great but it would not happen with the world economy in bad shape so I had to do the second one. The first thing I did was to categorize my expenses so that I would know which expenditure to focus on. Knowing your total expenses on a monthly basis is a good starting information but that is not enough if you want to know where your money goes. Gathering this data for each expense I incurred was not easy to do. It required patience and discipline but I was able to do it. I found out that monitoring where my money was going helped me to appreciate and understand how my money flows in and out. It was not only good information, it changed the way I view spending my money altogether. I have become fully aware of my current financial standing and can predict with reasonable accuracy where it is headed if I do not change the way I spend. Having this information with me is invaluable. This is the foundation from which I was able to develop a strategy so that I can use my money wisely. Every spending decision from then on has become easier as compared to before when I was just guessing if I was still on track on my budget or not. Obviously, discipline and self-control is required to make budgeting work. I think it's even more important that we realize the limits of our ability to control ourselves when we spend so that we can avoid situations where and when we are most vulnerable to fail. For example, if we know that we have a tendency to make impulsive buys when shopping we can stop carrying credit cards and just bring cash enough for what we need to buy. This will make sure that there's no way for us to commit the mistake we always make because of our weakness. These ideas have worked for me. I hope you will find them useful to your situation so that you can work your way to become more effective in budgeting your finances. Good luck!